When it comes to airline elite status, things have changed quite a bit over the last few years. Delta and United made enormous changes to their award-mileage and elite-qualification programs in 2014, including the introduction of spending requirements and sweeping devaluations of their award charts. American followed suit in the second half of 2016 in terms of basing award mileage earning on spending, as well as changing its award charts. That makes having a savvy elite status strategy in place imperative. Here are a few tips and guidelines on earning elite status quickly with the major US airlines, including status matches and challenges, in case there are further changes in store. Status-matching to Alaska is relatively easy. Alaska is the only major legacy carrier with a mileage program where both the elite-qualifying and redeemable miles you earn are based on how far you fly rather than on how much you spend. For information on the program, check out Nick Ewen’s post, What is Alaska Airlines MVP Status Worth? You achieve MVP status by flying 25,000 miles or 30 segments on Alaska and partners (fewer on Alaska itself and Virgin America). You achieve MVP Gold status by flying 50,000 miles or 60 segments on Alaska and partners (fewer on Alaska itself and Virgin America). You achieve MVP Gold 75K status by flying 90,000 miles or 90 segments on Alaska and partners (fewer on Alaska itself and Virgin America). The one main way to get elite status quickly is … basically to bypass those requirements altogether. Alaska Airlines is one of the few programs left that offers a standard status-match program, and it’s open to elite members of AeroMexico, Air Canada, American, Delta, Frontier, Hawaiian, JetBlue, Southwest, United and Virgin America. In the past, you could only match to MVP or MVP Gold, but in recent years Alaska has been matching American Executive Platinum, Delta Platinum and United 1K elites to its top-tier MVP Gold 75K level. To request a match, simply e-mail elite.flyer@alaskaair.com with copies of your current elite card (both sides), an e-statement with your current status and your driver’s license. Allow 2-4 weeks for them to process and update your account. There are plenty of ways to earn American elite status in addition to flying. As noted above, American Airlines made some changes to its AAdvantage mileage program in 2016, including the replacement of a distance-based mileage-earning formula with a revenue-based system that mimics those of Delta and United. The airline also did away with its confusing elite-qualifying points system and has revamped its elite-qualifying miles so that you earn between 1 and 3 miles per mile flown based on the fare you purchase. For details on American’s elite-status program, see this page. 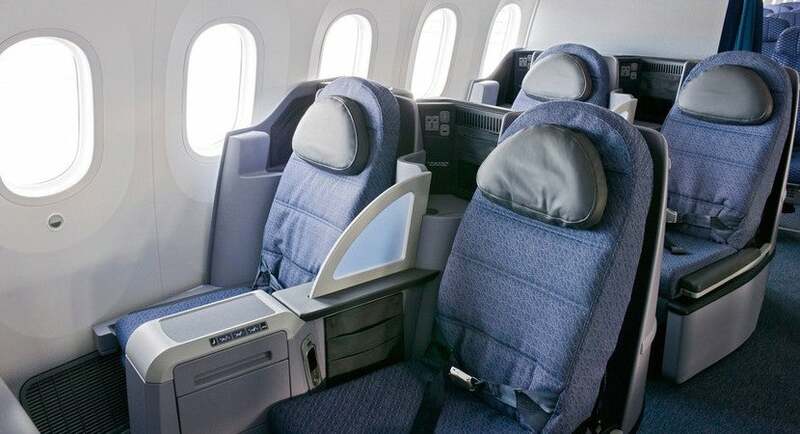 For an exhaustive review of the benefits of the program, you can check out Nick Ewen’s post, What Is American Airlines AAdvantage Elite Status Worth? In the meantime, here’s how many miles or segments and elite-qualifying dollars (EQDs) you’ll need to earn/spend each calendar year to qualify for each. When it announced the end of the points system, American also seemed to discontinue the option of challenging for status as a shortcut, but per this FlyerTalk thread, it looks like that option is now back. For the details check out this post or call American’s customer service line at 888-697-5636. But as before, you can challenge for Platinum or Gold status. The fee to challenge for Platinum is $200 and the fee to challenge for Gold is $120. Once you enroll, you have 90 days to earn 7,000 elite-qualifying miles for Gold status or 12,500 elite-qualifying miles for Platinum. Before, you would have had to earn 5,000 elite-qualifying points for Gold and 10,000 EQPs for Platinum, so this is a slight difference. Also note that if you have FoundersCard, you can enroll in an AAdvantage Platinum status challenge. You’ll get Platinum status for three months, and can extend it through January 31, 2019 by enrolling in AA’s Business Extra Program and earning $2,000 EQDs and 12,500 EQMs (or 16 EQSs) by December 17, 2017. American fields two co-branded cards that offer the opportunity to earn elite-qualifying miles based on spending. The first is the Citi / AAdvantage Executive World Elite Mastercard; every calendar year you make $40,000 or more on purchases on the card, you earn 10,000 elite-qualifying miles. The other card that offers the opportunity to earn EQMs as part of its benefits package is Barclaycard’s Aviator Silver. Certain premium cardholders of the former US Airways World MasterCard were targeted to receive this card instead of one of the more basic versions of the Aviator. For every $20,000 in purchases you make annually, you can earn 5,000 EQMs (up to 10,000 per year). TPG actually earned a total of 20,000 EQMs by maximizing his spending on both these cards in 2015. You can find out more about how he did it in this post. That required a lot of spending, but there are ways — including using credit cards to pay off your taxes — that might make it worth it to you. With American Airlines’ business program, Business Extra, companies earn 1 point per $5 spent on American Airlines, British Airways and Iberia flights (even when purchased directly from either carrier) and flights on Finnair, Japan Airlines and Qantas, as long as the tickets are marketed by American Airlines. Among the possible point redemptions is the ability to gift Gold status to employees for 3,200 points. So your company would have to spend $16,000 on airfare per status gifted. Talk to your corporate travel office and see if they have any points to spare. It never hurts to ask! Delta offers a lot of ways to earn Medallion status quickly. If you’re a Delta flyer, there are a few very important, unique features of the Medallion program to keep in mind when going for elite status. First and foremost is that Delta offers flyers the chance to roll over Medallion Qualifying Miles from one year to the next, meaning that any MQMs you earn above a certain elite threshold before getting to the next count toward your elite-status qualification for the following year. So, check your account and see how many rollover miles you’re starting with in a given year. Just note that you still have to meet the MQD spending requirements for each specific tier in the current year in order to qualify for status since MQDs do not rollover. But here’s the second wrinkle: If you spend $25,000 in a calendar year on one of the co-branded Delta cards from American Express, including the Gold Delta SkyMiles® Credit Card from American Express, Platinum Delta SkyMiles® Credit Card from American Express or Delta Reserve® Credit Card from American Express, those MQD spending requirements are waived. So if you have a lot of rollover MQMs and can hit that $25,000 mark early in the new year, you can get back to elite status quicker than you think. The second way that the Platinum and Reserve cards specifically come in handy is that each offers cardholders the chance to earn MQMs through applying and spending. Cardholders of the Platinum Delta SkyMiles Credit Card earn 5,000 MQMs (along with 35,000 regular SkyMiles) after spending $1,000 in the first three months. Earn an additional 10,000 MQMs after spending $25,000 in a calendar year, and an additional 10,000 MQMs after spending $50,000 in a calendar year. The Delta Reserve Card currently offers a bonus of 40,000 bonus miles and 10,000 MQMs after spending $3,000 within the first three months. You can earn 15,000 bonus miles and 15,000 MQMs after you spend $30,000 or more in qualifying purchases on your card in a calendar year. You can earn an additional 15,000 bonus miles and 15,000 MQMs after you spend $60,000 or more in qualifying purchases on your card in a calendar year. So with enough spending, you can earn more than enough MQMs to hit Silver Medallion status. Again, this is a lot of spending, but if it’s in your wheelhouse, you could end up with a ton of MQMs to put toward your elite status. Try a status challenge if you have elite status with another airline and plan to fly Delta soon. Delta typically offers status challenges for Silver, Gold and Platinum Medallion. You’re granted temporary status for 90 days, and then must fly a certain number of elite-qualifying miles or segments to retain your status beyond the trial period. Any challenges completed after June 30 in a given year are valid for the rest of the year and the entire next program year, so if you submit the request now and meet the challenge requirements in early 2018, you can enjoy the status through January 31, 2019. To initiate a challenge, visit this link to submit your request online, and then send proof of elite status via email (SMSCEliteFaxes.Delta@delta.com) or fax (404-773-1880). 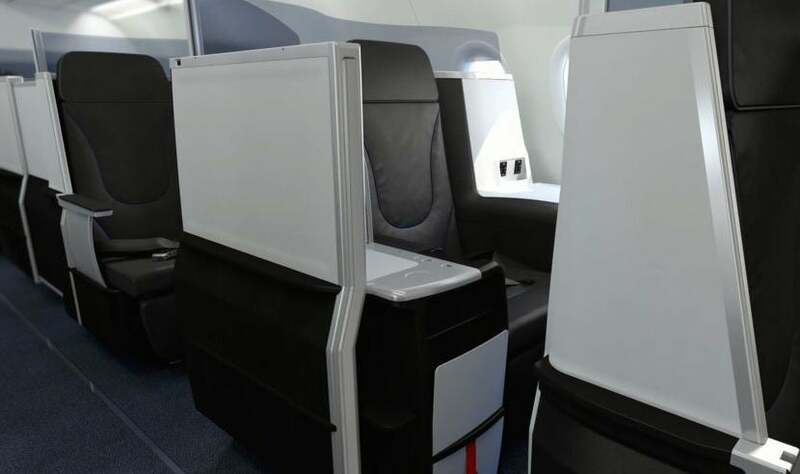 One interesting feature of the SkyMiles program is that Delta allows upper-tier Medallion members to pick from among several special perks known as Choice Benefits. Options include Sky Club passes, bonus miles, retail gift cards and more. Platinum elites can gift Silver status, while Diamond elites can gift Gold status to another flyer. Delta’s SkyBonus business program is completely separate from the SkyMiles program for individuals, but companies earn between 1-10 points per dollar spent on employee airfare. Those points can then be redeemed for things like award tickets, but also for Silver Medallion status at a rate of 120,000 per status awarded. Just note that, unlike regular Silver Medallion status, this one is valid for only 12 months from the date of issue. There are fewer options with United, but still some good ones. Among other changes to its MileagePlus program back in 2014, United instituted a spending element to its qualification requirements called Premier Qualifying Dollars, which you need to hit for each of its four tiers. And then it raised them in 2015. Now here are some ways you can meet those requirements faster. Let’s start with the most unique (and flying-free) way to earn United elite status. The airline has a partnership with Marriott Rewards called RewardsPlus where, among other perks, Marriott members who earn the hotel chain’s Platinum or Platinum Premier status (or Ritz-Carlton Platinum status) — usually earned after 75 qualifying nights — are given automatic Premier Silver status. So even if you didn’t fly United in the past year but are a Marriott stalwart, this might still be a good backdoor to status. United’s Premier Accelerator is a program where you can earn extra regular (redeemable) miles, as well as elite-qualifying miles when you purchase a flight. Unfortunately the prices are very high — more than 30 cents apiece in some cases, so you might want to avoid it. Check out these FlyerTalk threads for more information. United will let you challenge for status based on your elite status with other airlines. United also offers a status challenge to elite flyers from other airlines, and the carrier actually has published information available. The site lists American and Delta as eligible programs. To do so, you must complete this online form after signing in to your MileagePlus account and provide documentation of your current status. You’ll then receive 90 days of Premier status that begins on a date of your choosing, which must be within 14 days of the request. Keep in mind that your status may take 7-14 business days to be updated, but if you meet the requirements of the challenge after July 1, your elite status is valid for the rest of the program year and the entire following year. If you complete the challenge after July 1, 2017, you have status through January 2019 (assuming the status challenge is still around then). The MileagePlus Presidential Plus card, which is no longer available to new applicants, is the only credit card that lets you earn PQMs through spending. If you’re an existing cardholder, you can earn 1,000 Flexible Preferred Qualifying Miles (Flex PQMs) for every $5,000 you spend. Those Flex PQMs can be converted to regular PQMs to help you qualify for status up to and including Premier Platinum, but not 1K. You must make this conversion online or by calling the MileagePlus Service Center. However, as an added plus, these Flex PQMs are valid for conversion for the entire calendar year in which they are earned and three subsequent calendar years. On another note, United’s elite-qualifying revenue requirements for Silver, Gold and Platinum status are waived for credit cardholders who spend $25,000 on a co-branded card like the United MileagePlus Explorer Card within a calendar year, so if you can hit that spend quickly, you’ll just need to focus on your miles and segments. Here are some quick thoughts and notes on qualifying for the non-legacy carriers in the US. JetBlue is known to offer lucrative challenges. JetBlue’s TrueBlue program only has one level of elite status (Mosaic), which is normally earned by flying 30 segments and earning 12,000 base flight points; or just by earning 15,000 base flight points in a calendar year. In mid-2017, JetBlue offered a status challenge that required earning just 3,750 base points (by spending $1,250 on flights) within 90 days. Note that you can also earn Mosaic status by spending $50,000 on the JetBlue Plus Card in a calendar year. You can earn Southwest Tier-Qualifying Points with a credit card. Southwest’s elite-status program is called A-List and usually requires 35,000 Tier-Qualifying Points or 25 paid one-way flights in a calendar year. There’s one major and widely available shortcut if you have the Southwest Rapid Rewards Premier Credit Card (or the business version) from Chase. With it, you can earn up to 15,000 Tier Qualifying Points each calendar year at a rate of 1,500 TQPs for every $10,000 you make in purchases. So while you can’t actually qualify for status just through spending, if you do put a lot of spending on your card, it can definitely help you rack up those TQPs faster. Virgin America offered some lucrative transfer and flying bonus promos in 2015. Virgin America introduced its Elevate elite program in 2012, with two levels: Silver and Gold. Silver status requires earning 20,000 base points in a calendar year, while Gold status requires earning 50,000 base points. However, the program will cease to exist on January 1, 2018 since the carrier’s merging with Alaska Airlines. For that reason, you should focus on Alaska status instead. With status matches or challenges, credit card spending and other options, there are plenty of ways to get you to your airline status of choice in no time this year. Just make sure to evaluate your options before spending thousands to get a PQD/MQD waiver, and double-check to see that you’re meeting requirements by the due date to enjoy status for as much time as possible. Have any other tips and strategies for earning elite status faster? Share them in the comments below!